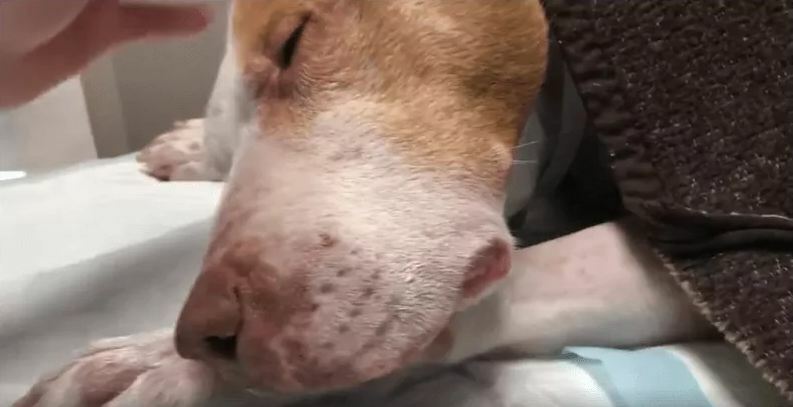 A dog is fighting for her life after being found, nearly frozen, on a sidewalk in St. Louis, Missouri. As reported by Fox 2 News, the female pit bull was discovered collapsed on a sidewalk by a postal worker. Stray Rescue of St. Louis responded to the call for help and captured video of the dog as she lay on the ground. Happening live- heading straight to our trauma center, please pray for this little girl. We'll keep you updated no matter what happens. She is in our trauma center with the very best team, we will give her every possible chance. Her temperature is too low to read and she’s in shock. We’re not sure what happened, yet. She is on oxygen and fluids now and on the heating table. We have done all we can here at Stray Rescue. She is a bit more stable and breathing on her own, but we’re sending Faust to VSS. Donna is taking her now, we’ll keep updating you. Let’s give this girl a chance. She deserves a chance. We went to see Faust today and were so happy to see her beautiful amber eyes and to hear she ate and drank this morning! It is a miracle. She is still very weak and definitely not out of the woods. We’re still not sure what is going on but her symptoms are being treated. Donations can be made via this link to the rescue group.